The Strohm Family of Kansas is off on an East African adventure. Scott and his son Brennen will kick off their trip with a climb to the summit of Kilimanjaro, the rooftop of Africa. 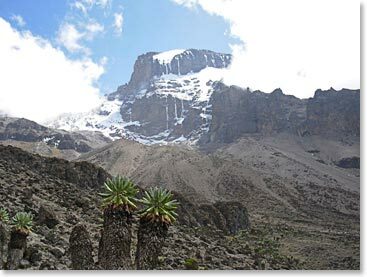 Following the stunning and demanding Lemosho Traverse, the duo will travel from rainforest to high alpine and will even spend a night in the Kibo crater on their way to 19,340ft/5895m. Ready to greet them on their ascent through the Mweka Gate of the national park will be Tracy and Katherine and together the family will continue their adventure on safari. From the elephants of Tarangire National Park to the migrations of the Serengeti, the family will enjoy the animals, the landscapes, and, of course, the people of the East African savannah. July 4, 2011 – Summit Success for the Strohm Family!